The TLC publicity team is going full steam ahead for Kate plus 8. 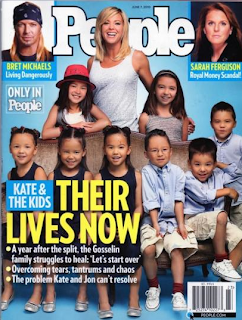 In anticipation of the June premiere, the Gosselin clan are front and centre in this week's People magazine. The new picture shows that Kate's hair isn't the only thing that has been growing - the kids look so mature! Are you going to watch the new show?